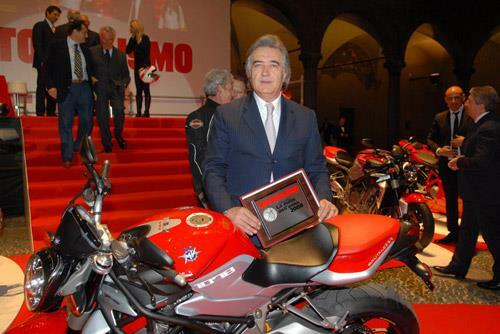 President of MV Agusta, Claudio Castiglioni, has said there is no truth in rumours that his firm is set to be bought out by Harley-Davidson. Castiglioni told MCN that "there are no negotiations in progress with Harley-Davidson" following reports in Italian newspaper Il Messaggero that a buyout was imminent. In recent months, MV Agusta has been linked to several potential financial partners - or new owners - including Indian car makers Tata and Mahindra, but so far nothing has been confirmed. The firm's last big name shareholder was Malaysian car maker Proton, which sold its stake in the motorcycle maker for just one euro only a year after buying a majority stake for 70 million euros in 2004. Now the biggest stake in the firm is owned by investment firm GEVI SpA, with Castiglioni retaining around 20 percent of the firm. Last year the firm sold subsidiary Husqvarna to BMW, but MV Agusta is now believed to be actively looking for a major new investor to ensure its security in the future. Harley-Davidson to buy MV Agusta?